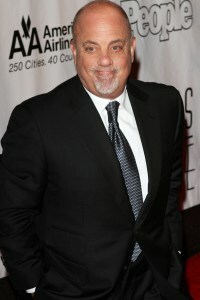 Billy Joel will be the next superstar to lend their musical catalog to Glee and its creator Ryan Murphy. Gleeks were wowed during a season one episode of Glee when Matthew Morrison (Will Schuester) and guest star Neil Patrick Harris famously belted out Billy Joel’s, Piano Man, in perfect harmony. Besides Gleeking out and lending a song or two from his musical catalog, Billy Joel has been busy with the documentary, Last Play at Shea, which includes Joel’s 2008 closing concert before the stadium was closed down. If you can’t wait to get your fix of Glee, catch the Primetime Emmy Awards August 29. Fox’s breakout show is up for a whopping 19 nominations. Watch those Emmys closely, Ryan Murphy might prove unstoppable with Glee glory!